Some do howl at the moon because Civil 3D is in motion. All fall… Autodesk releases even more Civil 3D related Updates. See the Civilized News. Must be almost time to fill my beer cup and join the line for the AU party train. By my count, we’re all still waiting with bated breath for the Autodesk Vehicle Tracking 2019.1 Update and an Uber in Vegas. See that. Somehow I managed to use the Bard’s famous phrase “bated breath” in a post about Civil 3D 2019.1. This must be the no anchovies version. Eheh. Framework for Civil 3D product Upgrades and full versions are affordable and available now. 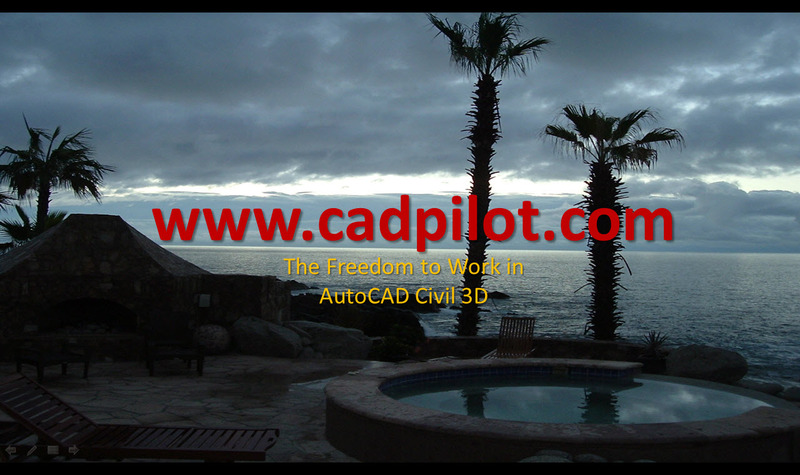 Could it be time for the release of a new Framework for Civil 3D AddOn? It is a great idea to deliver matched sets of Survey Codes, Description Key Sets, and Survey Figures with upgraded built-in support and supplied resources for those new Release 8 Layer Standards. In a nutshell - This AddOn supplies more InstantOn points capabilities out of the box. It supplies easier to employ Standards development tools and even the results resources. The Framework for Civil 3D is therefore even more adaptive, flexible, and robust as of today. Current Release 7 Framework for Civil 3D 2018 and 2019 customers can visit the respective download pages and download this latest AddOn. The supplied Release 8 Spreadsheet Tools replace and update the previously supplied Spreadsheet Tools, but do not overwrite previously supplied Release 7 NCS 5 spreadsheets. You might want to employ both matched sets of resources at different times and places. The supplied Release 8 Spreadsheet Tools support any Release 7 Framework for Civil 3D products in any of the multiple supported releases of Civil 3D. These tools are not supplied with any versions of Templates Only. The R8 Codes Points and Figures Tools AddOn includes updated Layers lists supplied in Release 8 NCS 6 and NCS 6 AIA Layer Standards AddOns released earlier. The R8 Codes Points and Figures Tools AddOn also intentionally does not replace other supplied InstantOn and Jump Kit resources. See the updated Spreadsheet Tools help section in Members on the website for in-depth details, Spreadsheet Tool use, and workflow mechanics. The Survey Codes Tool produces Code lists for use in the Description Key Set Tool, Figure Db Tool, and Survey Queries Tool. Better testing of complex Codes including more powerful and complex Not Keys and BESTWay type survey point code and figure patterns and structures. Awesome. This does mean you can easily support multiple and different Survey Code systems. You can translate the work of others to your own Survey Codes or to the Framework’s integrated and managed system with next to no work. See the updated Spreadsheet Tools help section in Members on the website for in-depth details, Spreadsheet Tool use, and workflow mechanics. Register and login here. The Description Key Set Tools and Figure Db Tools include updated Layers lists supplied in Release 8 NCS 6 and NCS 6 AIA Layer Standards AddOns released earlier. Both Framework standard utility (UT@@) and classic AIA utility Layer Standard versions of these different and separate Spreadsheet Tools are supplied. In other words, the new Description Key Set Tools and Figure Db Tools are supplied in matched pairs based on the desired Layer scheme. Updated and comprehensive lists of NCS 6 and NCS 6 AIA Layers are included. The list includes Layers from multiple NCS Disciplines. All Description Key Set sheets are supplied in PDF format. Note that most Description Key Set Layer assignments in supplied resources can be updated with Layer rename scripts supplied in the Layer Standards Spreadsheet Tools supplied in the appropriate AddOns. You can also post process publication drawings with Layer rename scripts supplied in the Layer Standards Spreadsheet Tools supplied in the appropriate AddOns to revise assigned Layer assignments. Note that Figure Prefix Db Layer assignments cannot be updated with Layer rename scripts. The individual records must be updated if the referenced layer scheme or details changes. After external edits and/or creations of Figure Prefix Db it is suggested you open and save the new supplied Figure Prefix Dbs inside Civil 3D before employing them to check for consistency and errors. However, you can always post process publication drawings with Layer rename scripts supplied in the Layer Standards Spreadsheet Tools and supplied in the appropriate AddOns to revise Layer assignments.